Enjoy a jewel of a cocktail this Friday with the elegant Bijou! The Bijou is a classic cocktail dating back to the 1890s. 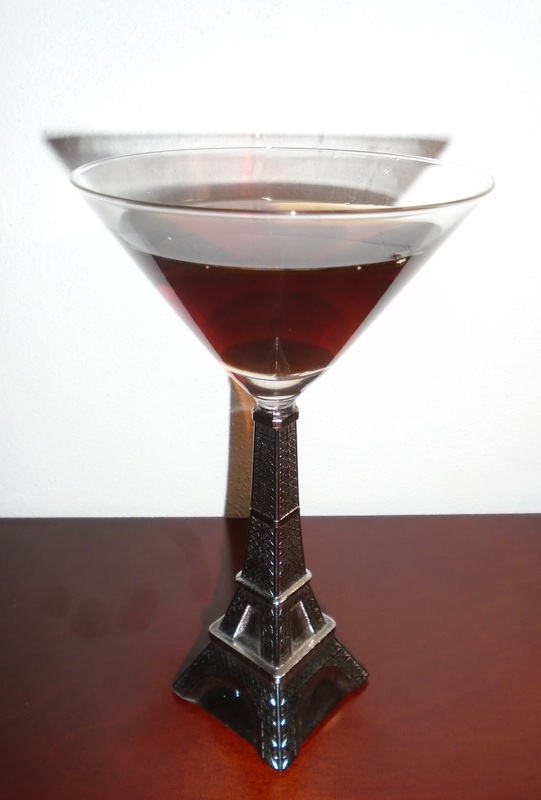 Professional bartender Harry Johnson is credited with the drink’s creation which is French for “jewel.” Apparently, the colors of the ingredients reminded Harry of jewels: gin (diamond), sweet vermouth (ruby), and green chartreuse (emerald). The key ingredient—and the most distinctive—is the green chartreuse. Chartreuse has been made by Carthusian monks since 1737. Aged with herbs, the French liqueur comes in both yellow and green, although the green variety appears to be more widely available. I first tried Green Chartreuse “on the rocks” in London over a decade ago. At the time, I thought it similar to Pernod, an anise-flavored drink. Acquiring a bottle more recently, I’ve mended my erroneous opinion. It’s a much more striking flavor. I don’t know what herbs the monks use to distill this drink, but it’s definitely a wake-me-up restorative. Anecdotally, I noticed this drink in my trusty 1964 edition of Old Mr. Boston De Luxe Official Bartender’s Guide twice! While searching for drinks to make with green chartreuse, I found entries for the Bijou and the Jewel cocktails. Same ingredients, same exact recipe. Apparently someone didn’t factor the French translation. In a shaker over cracked ice, pour in equal portions (1 ounce each) of gin, green chartreuse, and sweet vermouth. Add in a couple dashes of bitters, and stir. Strain into your cocktail glass of choice and enjoy! Optionally, garnish with a cherry. How I like it: I’ve seen several versions of this recipes calling for the same ingredients but in different proportions. Keeping the portions equal makes for a more balanced drink flavor-wise and is definitely my preference. Life is a jewel, drink responsibly!